For twenty years, ScriptWorks has supported dramatic writers by providing opportunities at all stages in the writing process–from inception through production. Our programs encourage members to engage in the creation, development and production of their plays and provide playwrights the resources to network and promote their plays both locally and nationally. 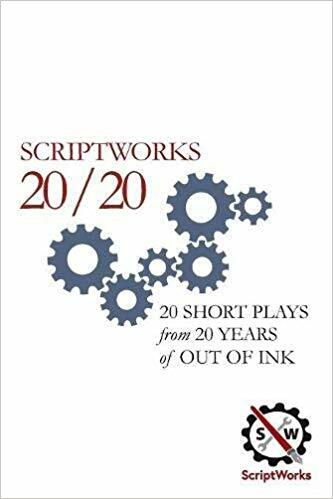 The twenty plays in this volume represent a small fraction of the 500-plus plays written over twenty years of Weekend Flings. Inspired by Paula Vogel’s “Bake-offs” and the belief that constraint can arouse creativity, the “Fling” inspires ScriptWorks members to write ten-minute plays over 48 hours using three contributed ingredients (aka rules or elements). Out of Ink is the companion program to the Weekend Fling, where we produce eight to ten of those plays.